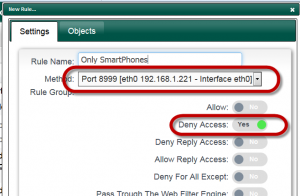 Home » Setup and Install » Active Directory connection » How to create a dedicated port for Smartphones in order to avoid NTLM authentication ? 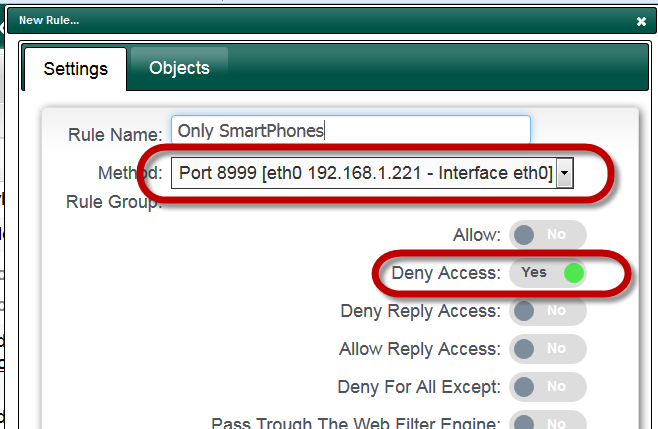 How to create a dedicated port for Smartphones in order to avoid NTLM authentication ? 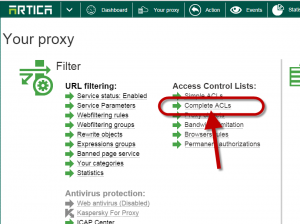 When using Artica proxy With Active Directory, the proxy deny any browser that are not connected to the Windows domain. Smartphones, tablets cannot be connected to the Windows Active Directory. This Article help you to create a dedicated port that can be used only for these nodes. On the “Listen ports“, create a new port. Just turn on the Disable Authentication option. Apply ports settings in the main table. Connecting browsers to this port force the proxy to allow any browser without authentication. The main issue is everyone can be connected. Solution is to restrict access to only browsers installed on Smartphones or tablets. 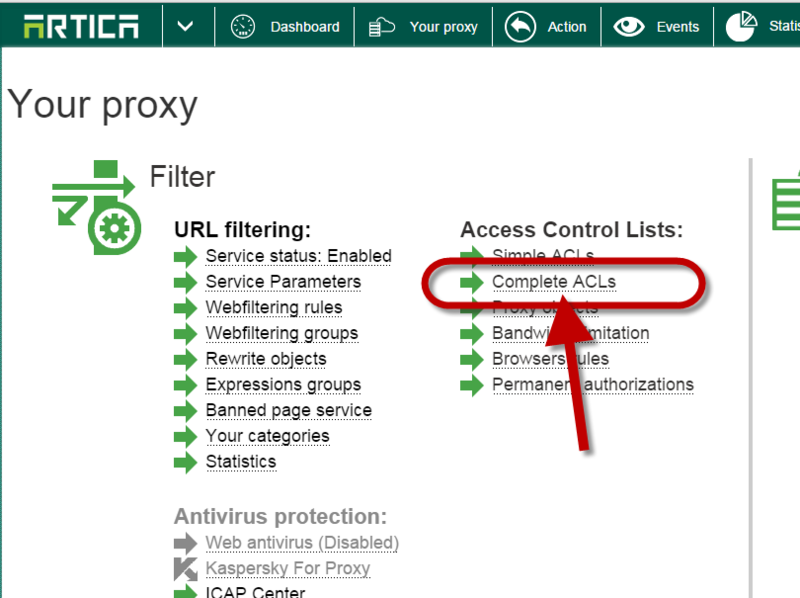 Open the Complete ACLs link. Give the object name and select “Smartphones” in the drop-down list. 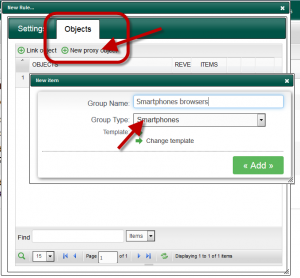 Click on “Reverse” checkbox for the Smartphones object. With this rule browsers that are not running on Smartphones are denied by the proxy.